'Welcome to our home' everyone are welcomed as a family and friend come home. 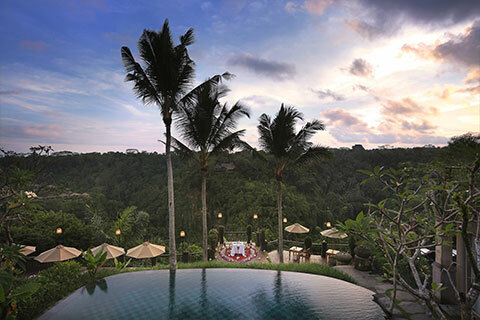 Pramana Watu Kurung Managed by Pramana, Management who committed to deliver the genuine of Balinese 'TAT WAM ASI', present a hearty work that creates peaceful atmosphere, to treat everyone like we would like to be treated. Employee qualified locals as priority and accommodating the locals arts talent and hotel supplier is part of Pramana Management social responsibility to empower the community for a mutual and sustainable tourism. Pramana Watu Kurung is carefully designed by Wayan Wardika, a young passionate designer. 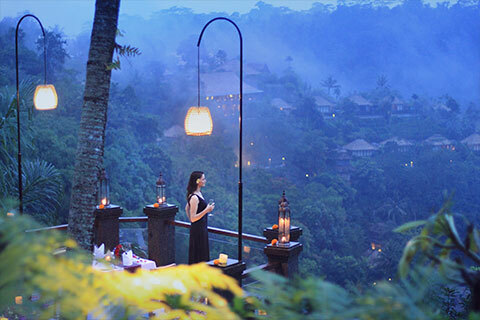 The design is inspired by the spatial layout of a traditional Balinese village with “Paduraksa” a grand gate separating each space levels in the resort. This style of elaborate structure is typically used in local architecture to define the entrance to the sacred space. He also included the influence of European touch in the lobby area, design with rounded column plated with Balinese local stone craft. A wide stone pathway lined with native flora runs straight down the middle of the resort is inspired by "Tenganan" native Balinese village. 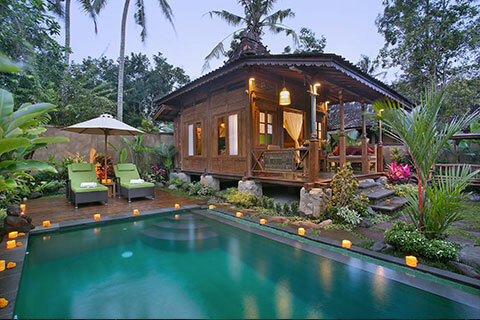 Charming wooden Javanese ‘joglo’ villas flow off this central axis to emulate the look of a small but integrated community. It's a combination of European design with high decorative ceiling and the wide Javanese veranda. 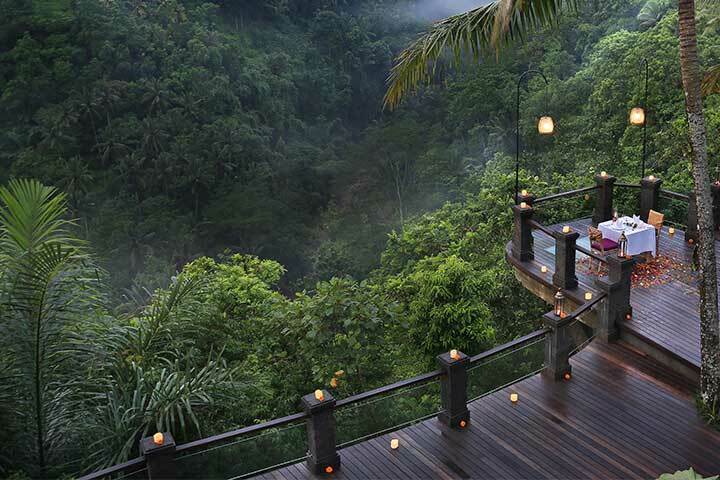 Each accommodation option is nestled within a private compound that is accessed via a carved natural stone ‘angkul – angkul’ gate inspired by the pathway of “Penglipuran” the world famous traditional Balinese village. This classic Balinese gate creates a real sense of arrival. It has small niches on either side for daily offerings to welcome higher spirits in accordance to the island’s Hindu religion. 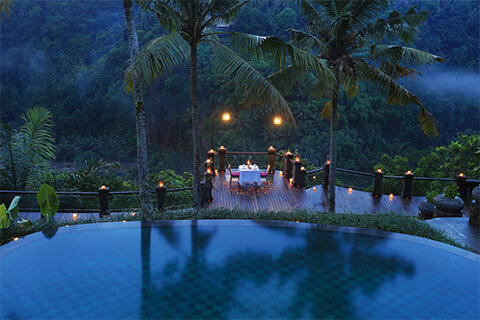 At the end of the path lies Lembah Ayung Restaurant, an open-sided joglo supported by intricately carved columns. This antique pavilion is the focal point of Pramana Watu Kurung and provides a place for guests to gather over good food and conversation. 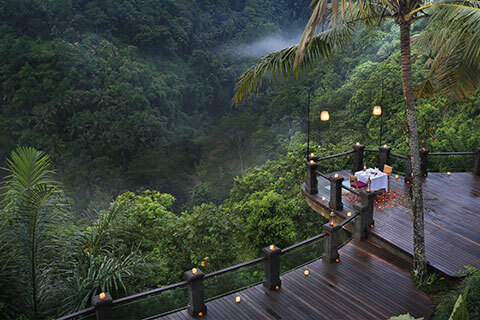 It is strategically positioned to capture the tropical beauty of the Ayung River Valley.